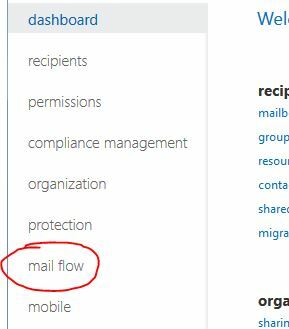 I needed to set up an email mailbox for a customer who has used up all their subscriptions for Office 365. 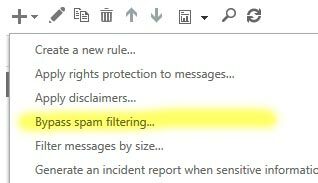 Another tech suggested using a shared mailbox. This video helped me get it set up. I needed the Longitude and Latitude for a map plugin in a website. I had the address. I had used Google maps before to get the longitude and latitude but things have changed since then. The following article helped me. I needed to create vCard on a website and this article helped me out. Needed an image to black and white and when the user rolls over the image it returns back the color image. This article below helped me out. I upgraded a localhost version of a Joomla 3.4.8 website to version 3.5. When I did Malwarebytes Anti-Ransomware quarantined some Apache files and a registration key. When I tried to view the sites front end looked like this. This all happened after the 3.5 upgrade and then I tried to update Akeeba. Mid way through I was warned by Malwarebytes Ransomware about the files. My other sites were still working fine. Stumbled on this video. Although it is old it is a goodie! In Chrome’s developer tools is was easy to see the width of a browser window. 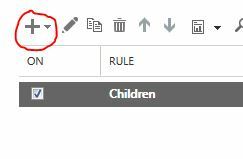 With developer tools open, grab to lower right corner and shrink the window. In the upper-right the size of the window shows up. That makes working with Media Queries so much easier. I use Firefox so often and wanted the same feature. I found what I needed in firebug and this article helped me. In the layout table as you inspect an element it’s size will show in the Layout tab. 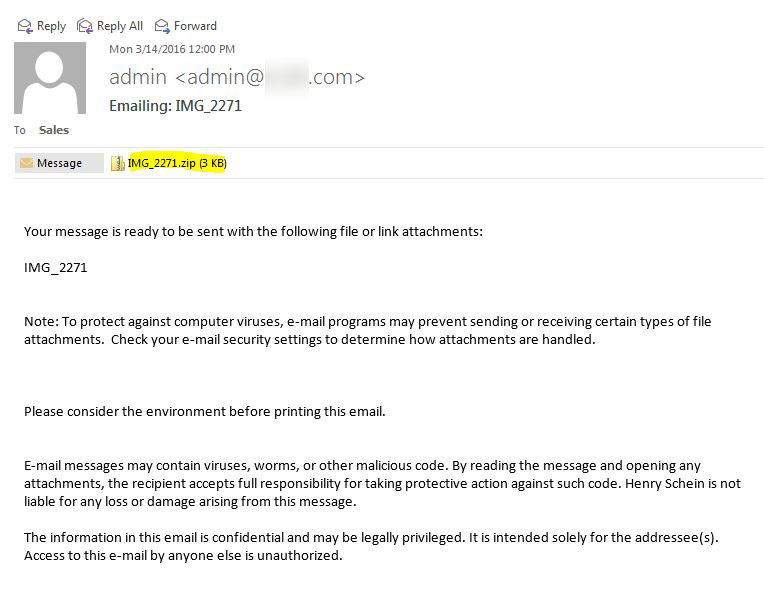 We have a fair amount of clients running Vipre anti-virus and we received a bunch of warnings this morning that over 6 of our clients were infected with a “Trojan Downloader”. Vipre found it and quarantined it, but we wanted to make sure. It shows up as “Trojan-Downloader.JS.Nemucod.dc (v)”. 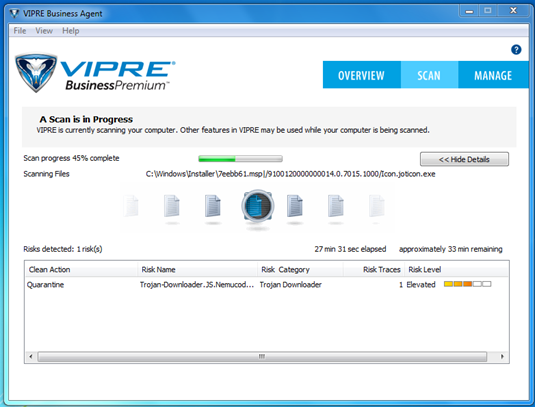 We contacted Vipre and they confirmed it was a false positive. They said a new definition will be out later today (3.22.2016). Microsoft says their software can handle this attack. Here is their write-up on this issue. Locky Virus – Blew Past Vipre – Malwarebytes Ransomware Detected it. 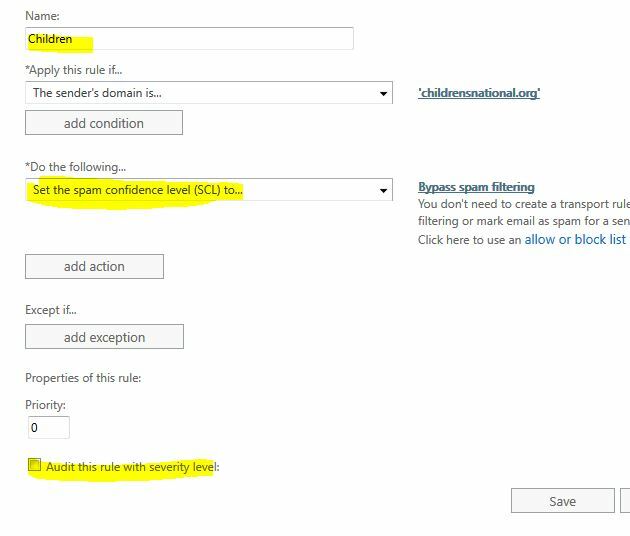 One of our clients got hit with the locky tojan virus. It came in an email with a .zip file attached. A couple of employees opened the zip and within an hour their systems were unresponsive. Below is what the email looked like. 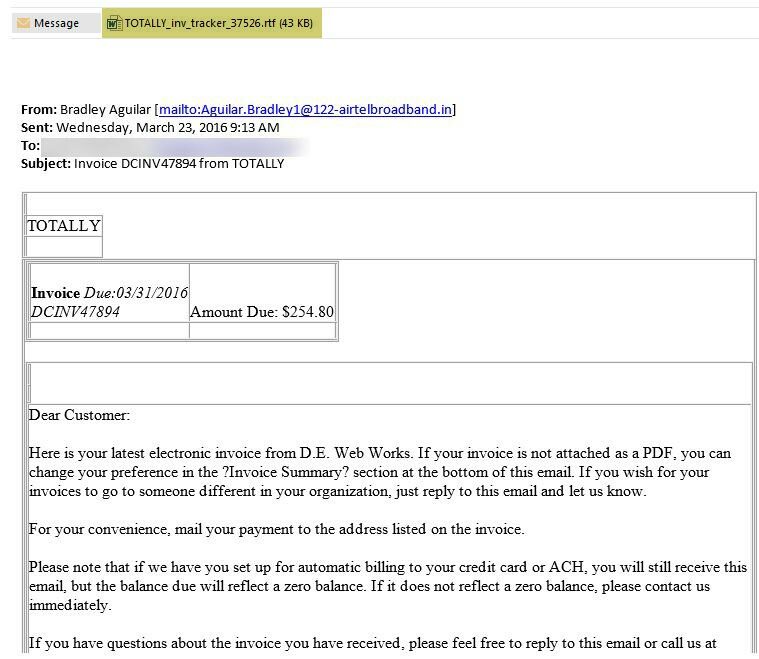 The virus encrypted the files and left a ransom text file with instructions on who to pay to unlock the files. The following page has good info on what to look for. We found Malwarebytes Ransomware was able to detect it, but not stop it. Here are some things we learned. When a user opened the .zip file and the virus started, any file or directory that user had permission to got it’s contents encrypted. 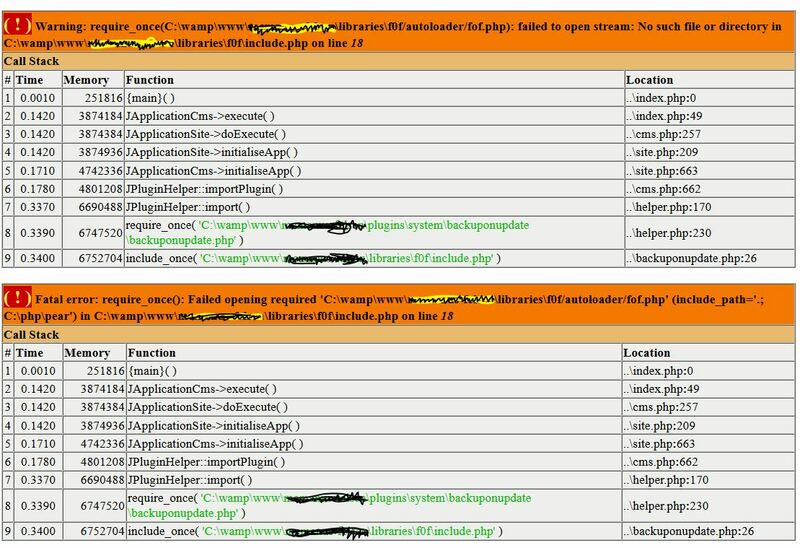 They had an intranet and the root directory’s permissions were set to “Everyone” so the applications worked, and that root directory got all of its contents infected/encryped. One Drive for Business – The files infected the shared local folder, jumped to the cloud storage and encrypted those file. Plus went to the person’s home machine that also synced with that one drive and infected their home machine. Malwarebytes Ransomware detected but did not stop it. 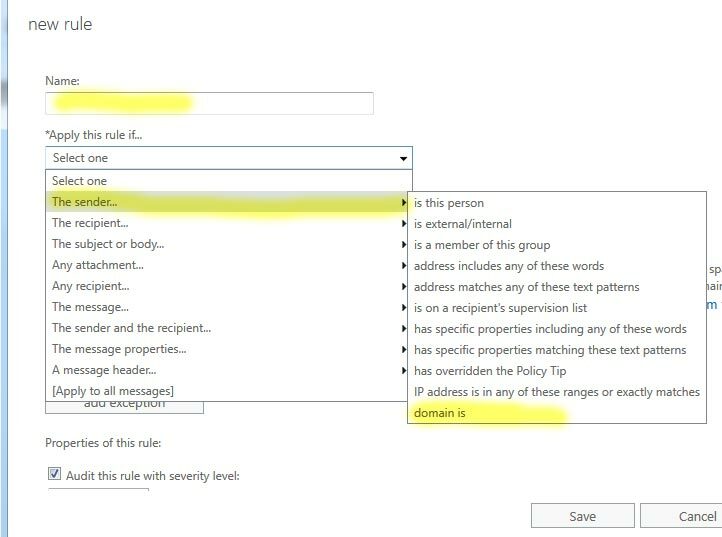 In Active Directory put user’s into groups and give those groups permissions to the directory. Back ups that ran twice a day. When the virus hit a 12:05pm we were able to recover the files from 7:00am. This article got me started.